You are here: Home › That’s a lot of embarrassed readers. While I’ve only read one book on the iPad—a re-read of the first Harry Potter with my son—according to The Daily Mail, that book is one reason for all the hiding. You want people to think you’re reading Joyce rather than books about sorting hats or outer space or, as is true for a third of us, making our gray matter blush in fifty shades. And e-readers let us do that. This idea of “title hiding” is not new; buy a book in Japan and they automatically wrap the cover so you can commute without judgement. What’s new stateside is the opportunity to sell books beyond our confining silos, and I love that. I quoted Harry Potter to a 43-year-old today, and he got the joke. There’s no way in Durmstrang that this real estate agent represents the official target market for this book. But if Harry Potter remained in children’s hands, would it be the phenomenon it became? Maybe it’s time we come out of our bookshelves. I’ll even admit to what I’m reading now. It’s a book that has two women in Victorian dresses on the cover and the author’s name in red foil emboss. You don’t even need to know the title to know I shouldn’t be reading this. 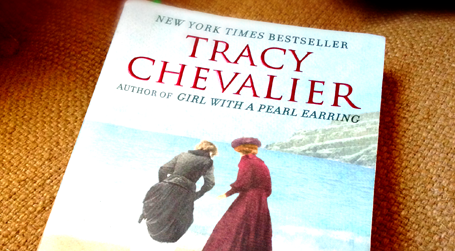 But Remarkable Creatures by Tracy Chevalier is a great read, and I’d recommend it to anyone. It is, of course, available as an ebook. Jonathan Bing is an author of children's books, including the award-winning, "Jimmy Jonny Brownie Stays Up All Night." He was born and raised in Japan, coming to the US for college. A win today for creativity at the Supreme Court. Let me know you're not an internet spambot by answering this question. 4+4+4=?